I'll be the first to admit that I really don't know much about the African Stomach Bitters product. 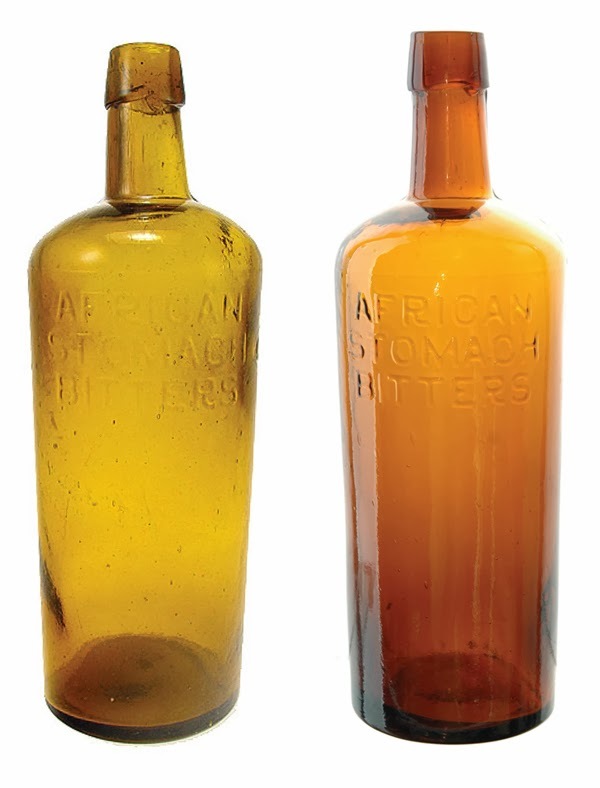 Pictured above is the advertisement for the claim to trademark for the African Stomach Bitters. This ad was taken from the March 1881 Sacramento Daily Union. The very next month Wilcox, Powers & Co. of Sacramento are advertising that they are the Sole Agents for African Stomach Bitters. I have done a little research on the African and I can't seem to find any advertisements for this product after about 1884. That's not saying the African wasn't marketed after 1884 it just seems like I can't find anything about this stomach bitters after that date. Spruance, Stanley was marketing the Dr. Mott's Wild Cherry Tonic at about the same time so maybe the African didn't get the attention that the Mott's did. With regards to the African Stomach Bitters. I think that we can explain the presence of apparently concurrent sole agencies by locale. I've run across this a number of times where wholesalers in different Ca. locales claimed sole agency for the same brand during the same period of time based on registrations. Simply, if they did not advertise Sole Agency for the Pacific Coast , they actually had rights to a certain "turf" instead of the entire state or coast. The African / Spruance Stanley (reverse) dates to the mid 90's. It's hammer whittled, blood red and is part of the German connection. All that said, nothing surprises me with regional sales and merchandising and my guess is that it was more of a live and let live arrangement; as long as neither wholesaler cut into another's profit structure or bottom line.